UK Demands WhatsApp to Build a Backdoor - Messaging App Says "NO"
The UK government apparently demanded WhatsApp create a backdoor in its popular messaging service. Founded and led by Jan Koum who is a fierce privacy supporter, sources suggest that the request was rejected by the company. Sky News reported citing an anonymous security source that the British government had demanded that WhatsApp “comes up with a way to offer access to encrypted messages this summer”. While the instant messaging service rejected the demands of the UK government, it is only one of the countless similar demands made by several different countries. The British government, however, seems to be at the top of the list. Home Secretary Amber Rudd had previously made the same demands and had asked for help from people who understood “necessary hashtags”. Governments believe that encryption is making it harder for them to track terrorism – an excuse that has been used for the past two decades to invade citizens’ privacy and security with no fruitful results. “It is crucially important that we can access their communications – and when we can’t, it can provide a black hole for investigators,” the source said. 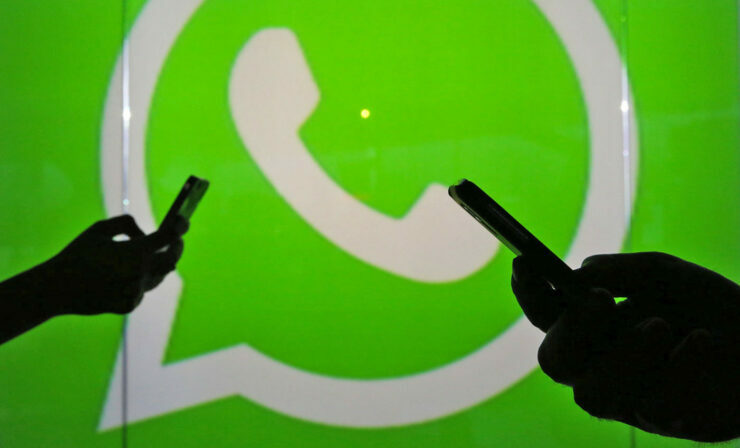 The publication’s source also added that encryption that is being offered by some of the top US technology companies is creating a “black hole” for the intelligence agencies as terrorists are “frequent users of encrypted apps”, citing both WhatsApp and Telegram. Sky News claims that 80 percent of investigations into terrorism and crime are affected by encryption. Highlighting the unfortunate explosion at Parsons Green Tube station, the country’s Prime Minister Theresa May will reportedly ask the tech companies “to do more to help governments fight terrorism” at a United Nations discussion today. Privacy advocates and security researchers have repeatedly pointed out that in the countries where these messaging apps with end-to-end encryption are banned, terrorist groups frequently use open source programs to create their own solutions. That is to avoid the entire argument of how the growing community of sophisticated hackers could get their hands on these “backdoors” putting everyone from a homemaker to a government official at risk of being spied on. Apple CEO Tim Cook when pushed by the Federal Bureau of Intelligence after the San Bernardino shootings had said that creating backdoors will only weaken security while terrorists will continue to find new ways of communication. “Naturally, people have asked what end-to-end encryption means for the work of law enforcement,” WhatsApp writes on its website. “WhatsApp appreciates the work that law enforcement agencies do to keep people safe around the world.” The company, however, insists that it “carefully reviews, validates, and responds to law enforcement requests based on applicable law and policy, and prioritizes responses to emergency requests”. – We have reached out to WhatsApp for comment on this report and will update it when we receive a response.